Unified Wireless is a scalable wireless local area network solution built for high density environments. In contrast to legacy wireless networks that provide access via independent wireless access points or routers, unified wireless makes use of centralized control policies that allow network administrators to manage the configuration of all access points. Unified Wireless offers self-organizing, self-optimizing, and self-healing network capabilities to increase the stability of the entire wireless network. 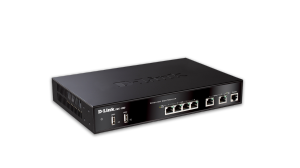 At the core of a D-Link Unified Wireless network is the hardware controller, which centralizes all aspects of access point provisioning and management. 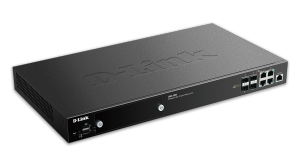 Two different controller models are available, the DWC-1000 (up to 24 APs) and the DWC-2000 (up to 256 APs). 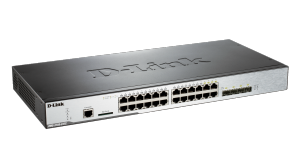 D-Link also offers Unified wireless switches – which combine the controller functionality with L2+ Gigabit switching functionality. 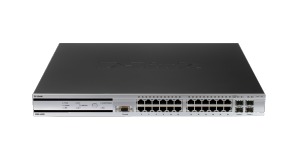 Choose either the DWS-3160-24PC (48 APs) with PoE capability, DWS-3160-24TC (48 APs) without PoE capability, or the DWS-4026 (256 APs) with PoE capability. 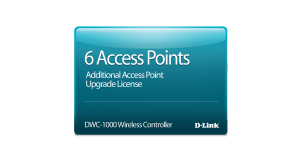 D-Link Unified Wireless Access Points are highly manageable and scalable with high data transmission speeds. Once the APs are discovered by the switch/controller, the administrator can push a specific set of configurations onto them, rather than having to do so one by one. In addition, RF resource management and security are also managed centrally, thus allowing the administrator to preemptively identify potential deficiencies and weaknesses in the network. Unified Wireless also provides a comprehensive wireless security solution for easy integration into any network. 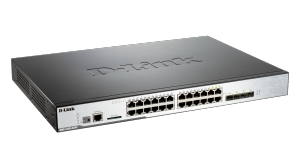 The Wireless Intrusion Detection System (WIDS) featured in each switch/controller detects rogue access points, rogue clients, and can anticipate wireless threats, to help prevent potential breaches and illegal access before any damage is done to the network. maintaining massive and complex configurations. 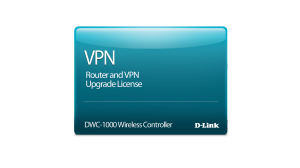 The DWC-1000-VPN-LIC License adds support for using the DWC-1000 as a VPN Router as well as a Wireless Controller. The DWC-1000-WCF-12-LIC License adds support for Dynamic Web Content Filtering with the DWC-1000 Wireless Controller.